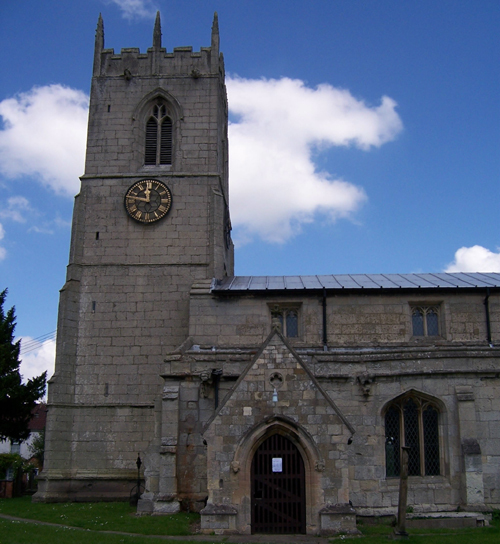 The tower is of a type common in east Nottinghamshire that is constructed in ashlar with diagonal buttresses, gargoyles many of which are now badly eroded, battlements and eight pinnacles. 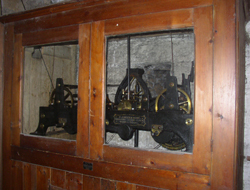 The clock in the ringing chamber faces the east and south sides only. It was designed by Lord Grimthorpe and made by a John Smith & Son, Midland Steam Clock Works, Derby in 1903 and Strikes the hours and quarters using two of the three bells in the belfry. The mechanism is operated by three weights that descend almost to ground level in the base of the tower and requires winding up again once a week. A local man George Bee, a joiner and undertaker, made the case and also helped with the installation of the clock. He was Deputy Organist for many years as well as a bell ringer and sexton. A brass plate on the wall in the base of the tower records that the clock was erected by the Tong and reads: - "THIS CLOCK WAS ERECTED BY EMMA AND JULIA TONG WITH THE HELP OF RELATIONS AND FRIENDS TO THE GLORY OF GOD AND IN MEMORY OF THEIR BELOVED PARENTS AND SISTER AUGUST 10TH 1903. Reverend C.R. Round Vicar. Messrs Fotherby and Harrison Church Wardens" It was refurbished and set to work again in 1978 by the residents of Rectory Gardens. Access to the ringing and bell chambers is by a stone spiral stair on one corner of the tower. 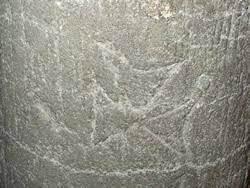 Masons marks may be seen on the stone newel post of the stair. 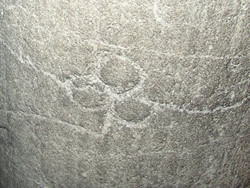 Two types are repeated in the section up to the ringing chamber, one resembling a clover leaf and the other similar to the Maltese cross with the top branch omitted. 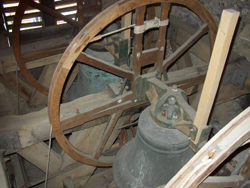 The belfry contains three bells hung in line one tenor and two treble. The Treble and 2nd were cast by Charles & George Mears of London. The 2nd is a recast of a bell by Johannes de Colsale in 1409, which was cracked during ringing on 26th July 1848. The Tenor is a bell by Henry II Oldfield of Nottingham, and carries the legend "God save the Church, our Queene and Realme, 1585. William Wilson, Thomas Tipping, Churchwardens". 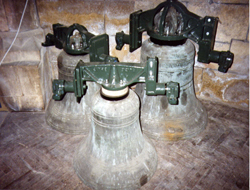 The bells are hung in a low-sided wooden frame, Elphick type V, which has NE 1655 incised on it. The belfry was renovated and the bells rehung on modern fittings, by Eayre & Smith Ltd. in 1990, enabling the bells to be rung for the first time since 1945. A rededication ceremony was held attended by Bishop Patrick, Councillor Peter Mace vice Chairman of Bassetlaw District Council and his wife Betty, Richard Tuffley, George Millan, John Walker, Rev. Ian Turkington, Gerald Millard and Clifford Johnson. The new fittings comprise of cast-iron canon-retaining headstocks on the 2nd and Tenor and a normal cast-iron headstock on the Treble. The bells are on ball bearings and have modern clappers. The first quarter peel on the bells was rung on 23rd October 1995.The bell ropes have been lengthened to pass through the floor of the ringing chamber so that they may be operated from the ground floor of the tower. A plate on the outside of the tower, below the east clock face, records that the roof of the nave was replaced in 1892. 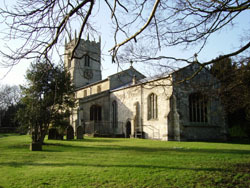 Click here to view the nave.